QuickSpin is a relatively new game studio! In fact, the company started on the outskirt of Stockholm in 2012. Very much like many iGaming companies, it was founded by a team of industry veteran that identified a gap in the market and wanted to shake things up! And they sure did that because QuickSpin name is now a synonym of quality and excellent games. In fact, their games are so impressive that only a few years after the company’s creation, the studio attracted the interest of another industry Giant, Playtech who bought them out. But unlike other Playtech companies, the founding members are still very active. And they’re still a crucial part in creating games today. So, despite the merger, their games haven’t lost the flair that made them popular. What’s more is that since Playtech now back them up, they have more budget to create even more stunning slots. Why are Quickspin slots so popular? QuickSpins games are in high demand! Indeed, any good casinos worthy of this title offers them because they have excellent graphics and API! Now you may wonder why APIs are important for you as a player. Well, the answer is simple! When a provider has APIs, it means that gamified casinos can give real-time rewards to players like yourself. So, in every day’s term this translate into casino operators hosting tournaments on their games where you can win extra things like Free Spins and cash. Also, it’s worth knowing that QuickSpin only launches game they’d want to play themselves! In fact, it’s the company’s motto. And because of this, you can expect slots with excellent storylines that work seamlessly across any devices. A great thing about QuickSpin is that generally speaking, they mainly release slots of medium volatility with an RTP which averages 96.5%. But frequently the RTP is much higher! Which means that their games are accessible to all levels of players, even the more novice ones. 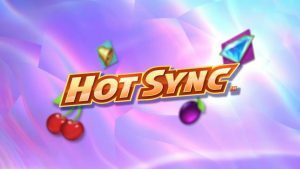 Granted that there’s the odd exception, like Hot Sync, where the studio chose to cater for the more experienced players and created a high volatility slot. Another great thing about QuickSpin is that their content management systems allow casino managers to give away a special type of Free Spins which guarantees an entry into the bonus game. For now, these types of Free Spins are rarely handed out to players. But in some cases, players can buy them via a loyalty shop. However, we expect more casinos to give these types of Free Spins in weekly campaigns as the competition increases. 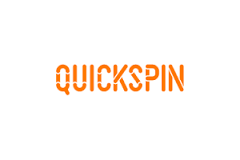 Year after year, QuickSpin win awards! Whether it’s for the quality of their games, innovation as we’ve seen in the EGR B2B in 2014, 2015, 2016 and 2017 or for being a great place to work at. Whether it’s at the Headquarter in Sweden or at their Malta office. All and all, QuickSpin understands that happy people are more creative and by the same token, their happiness reflects in the quality of their work. So you as a player always have a better experience. So, try their games now? And see what happens when creative, happy and experience people put their talents together to create slots!